Bits & Parts aims to utilize small 3D printers and CNC milling machines to fabricate full size affordable furniture available to all. 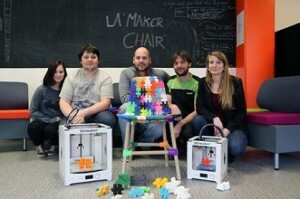 The first prototype was created with the help of a 3D printing hub: together we made the first “crowd fabricated” chair. We were able to radically expand the potential of these digital machines by fractioning designs into many small 3D parts . 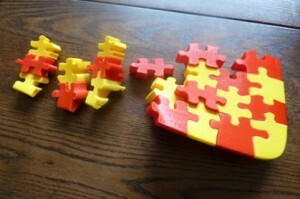 These can be assembled into a piece of furniture like a 3 dimensional puzzle. 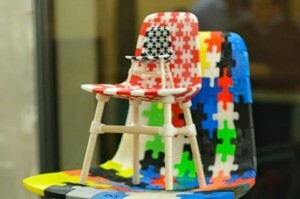 We started out with the Maker Puzzle Chair, which can be downloaded for free here. The Bits & Parts project is a work in progress: we invite all the makers to help improve the designs to create the most efficient, beautiful, comfortable, recycable and locally produced furniture in the world. To achieve success, we will have to radically reduce cost, optimize the design and scale up to an automated mass digital fabrication process – or even stream fabrication from the cloud. 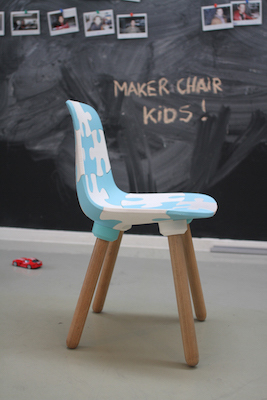 This is a spinoff project of the Makerchair series initiated by Joris Laarman Lab; an experimental playground that tinkers with engineers and craftsmen on the many new possibilities of emerging technology in the field of art and design. Tiago Moura, 3D spot – made this beautiful video about his project and applied some changes of his own. 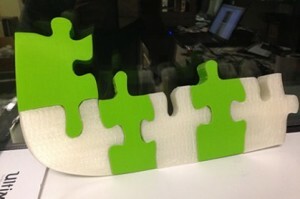 Anderson Ta, his first try with PLA filament, further on he tried different types of filament. 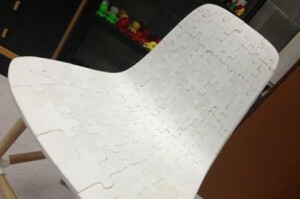 Soomin Kim used the puzzle chair to conducted a wide variety of material tests, for example PLA filament induced with different kinds of metal. 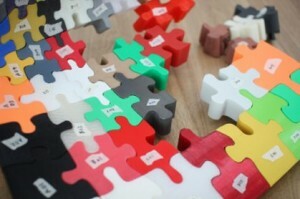 The first twenty two pieces of Wim de Groot’s puzzle chair in red and yellow. 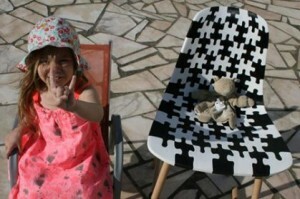 Julien Guillen of 3DanCO posted his project report on 3D natives. Just wanted to post about my printing so far. I’ve just been sticking with PLA for my first chair but plan to go onto other materials.